Published: Dec. 24, 2017 at 03:02 p.m.
Tampa Bay Buccaneers linebacker Kwon Alexander intercepts tipped ball with 28-yard return. 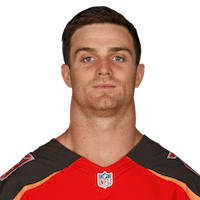 Published: Oct. 29, 2017 at 02:59 p.m.
Tampa Bay Buccaneers safety Chris Conte jumps route, picks off Carolina Panthers quarterback Cam Newton. Published: Aug. 26, 2017 at 11:02 p.m.
Tampa Bay Buccaneers linebacker Adarius Glanton recovers fumble vs. the Cleveland Browns. Published: Aug. 26, 2017 at 09:58 p.m.
Cleveland Browns running back Duke Johnson fumbles and Chris Conte recovers.